MGU CAT 2019 – The admissions based on CAT- MGU will be through a Centralized Allotment Process. There will be separate Entrance Tests for the various academic programmes offered in the different Schools of the University. The candidates need to register only one application(online) for opting a maximum of 4 academic programmes/ cluster of programmes based on their eligibility. A cluster of academic programmes to which admissions are made based on the same Entrance Test will be reckoned as a single option. The candidate has to mark his/ her preference for the different specializations within the cluster at the time of online registration. In such cases also there will be separate rank lists for the different specialized programmes within the cluster based on the score in the Entrance Test and the preference marked by the candidate at the time of registration. If a candidate submits more than one application in CAT- MGU his/her candidature is liable to be canceled. It is a simple and transparent process of allotment which gives the candidate opportunity to exercise the options of his/her choice conveniently in the order of preference. The allotments will be strictly based on the options exercised, the rank obtained and eligible reservations of the candidate. Latest: MGU CAT 2019 Application Form has been released. Scroll down to check the same. Applications are invited for admission to the Post Graduate academic programmes in the Statutory Teaching Departments and Inter School Centre of the University for the academic year 2018-19. Admissions to all the programmes except M.Ed are on the basis of Common Admission Test (CAT- MGU). For M.Ed programme, both the score in Entrance Test and the marks for Qualifying Examination will be considered for preparing the rank list. Only online registration will be considered for all the academic programmes of the University. 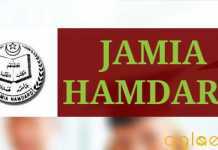 Admission details, schedule, eligibility conditions and other particulars are available on this page below. Schedule of MGU CAT 2019 is given below. 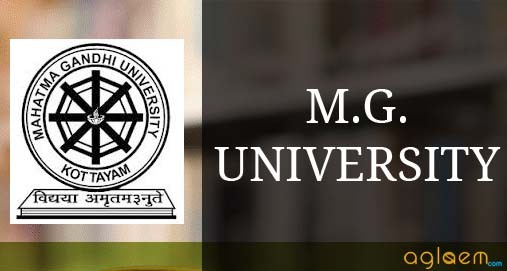 Candidates who seek admission should either visit the official portal of the University www.mgu.ac.in and go to the link CAT-MGU 2019 or go directly to www.cat.mgu.ac.in. Candidates must check there eligibility criteria before proceding further in the admission process. Below we have provided the direct link to fill the Application Form. Apply Online: These links will help the candidates to register as well as login the admission process. The registration fee has to be paid online using internet banking/debit/credit/cash cards. Fee paid in other modes of payments will not be considered. To know Item wise instruction for filling up the online application, Click Here. The admissions based on CAT- MGU will be through a Centralized allotment Process. There will be separate Entrance Tests for the various academic programmes offered in the different Schools of the University. The candidates need to register only one application (online) for a maximum of programmes of four different schools/departments/centres except MBA in SMBS. However, the candidate need to pay separate application fee for examinations opted from different schools/departments/centres. Students may also see the schedule of examinations for different schools to verify which all examinations may be opted as their choice. A cluster of academic programmes in a School/Department/Centre to which admissions are made based on the single Entrance Test will be reckoned as a single option with a single application fee. The candidate has also to mark his/her preference for the different specializations within the cluster at the time of online registration. In such cases also there will be separate rank lists for the different specialized programmes within the cluster based on the score in the Entrance Test and the preference marked by the candidate at the time of registration. If a candidate submits more than one application in CAT- MGU his/her candidature is liable to be cancelled. It is a simple and transparent process of allotment which gives the candidate an opportunity to exercise maximum of options of his/her choice conveniently in the order of preference. The allotments will be strictly based on the options exercised, the rank obtained and eligible reservations of the candidate (in the case of candidates under Kerala State category). 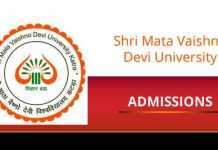 The rank lists and the lists of eligible candidates for admission as per merit and reservation will be published separately in the University portal. The eligible candidates will be invited for a counselling by the University. Those who fail to report for counseling will be treated as Not Joined and further claim for admission from these students will not be entertained. The candidates should produce the following documents in original at the time of counselling. Applicants for Open All India Quota will have to present the relevant Nativity Certificate issued by the concerned competent authority. Mark lists of Qualifying Degree examination and Provisional/ Degree Certificate (if results are announced). Candidates who are employees of Central/State Government or Public Sector Undertaking or Quasi Government Institutions should produce No Objection Certificate. Any other document required to be produced. After the counseling the University will issue an Allotment Memo to the candidate. The concerned Department/School after verifying the above documents shall admit the candidate and make necessary adaptations in the CAT-MGU portal. The original certificates of all the admitted students shall be kept in the respective schools. On getting allotment in a higher option, the student should get the certificates back from the School and submit the same to the newly allotted institution. As the allotment is based only on the Entrance score and the information furnished by the candidate online, the eligibility shall be confirmed before the closing of admission. The Head of the institution will verify the details furnished in the allotment memo issued from the University and online application in respect of the candidate by comparing the same with the original documents produced by the candidate before the deadline announced by the University for the same. Any discrepancy which results in the invalidation of the allotment will be reported to the University and admission will be denied in such cases. For complete details of MGU CAT 2019 – Download Prospectus | Revised Prospectus.